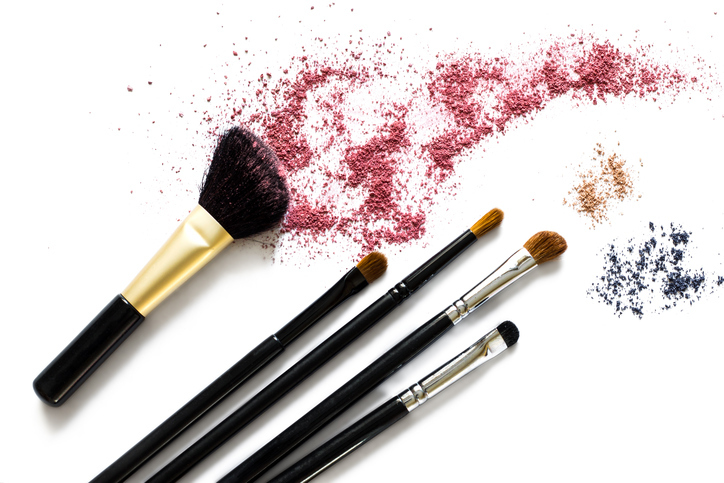 You know you’re supposed to be cleaning your makeup brushes on the regular to combat bacteria and restore brush fibers, but how often and what products should you be using? It’s ideal to clean your brushes after each use, as they pick up dirt, sebum and bacteria like magnets after each swipe across your face. Most professionals recommend giving brushes a quick cleanse after each use and then a deeper one once or twice a week. If it’s been a while, start with a cleanser that will really remove product buildup and bacteria, like Beauty Blender’s Solid Cleanser ($16, sephora.com). All you have to do is rub your makeup brushes or beautyblender over the soap to create a lather, then rinse and lay them out to dry. Once you get yourself into a regular cleaning routine, use a lighter spray formula, like Sephora’s Natural Citrus Brush Cleaner ($11.50, sephora.com). Spritz on bristles and simply blot with a paper towel.